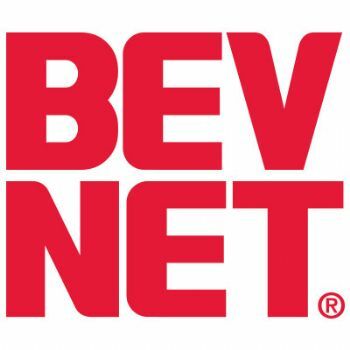 BevNET is delighted to announce that Tyler Ricks, the CMO and General Manager of Peet’s Coffee, will be speaking at BevNET Live in Santa Monica. Ricks is the first speaker announced for the event, which will be held on Dec. 8 and 9 at the Loews Beach Hotel in Santa Monica. An astute marketer, Ricks will be speaking on “the elements of challenger brands” – a topic he knows well from his work with Mountain Dew, Bear Naked and Plum, Inc. In each case, those brands were challengers that carved shelf space and profitability from an established category hierarchy: Mountain Dew from the established cola brands, Bear Naked from moribund cereal and granola companies, Plum by applying organic ingredients to the baby food category. Challenger brands opportunistically reinvent categories by using the changing values of consumers to take on dominant leadership. They are Under Armour, chasing Nike; Chobani threatening Dannon; Apple taking on IBM. In the beverage world, challenger brands can be potent: Suja’s pursuit of Naked and Odwalla; Red Bull pulling share from Coca-Cola; AriZona beating back Nestea and Lipton. Other challenger beverage brands include Body Armor, Harmless Harvest, Zevia, and Smartwater. For entrepreneurial companies, a well-executed challenger brand strategy can be a clear route to sizeable market share or even category leadership. Ricks, whose background combines a potent mix of marketing, sales, and leadership experience with both entrepreneurial and established companies, will draw on his experience to provide case studies of challenger brands: the circumstances that enabled their opportunities, and the points of execution that led to their success. Early Registration Pricing for BevNET Live Santa Monica ends on Oct. 17 — Sign Up Now. The Chief Marketing Officer and General Manager of Peet’s Coffee, Tyler Ricks has 20 years of consumer products marketing, sales and general management experience. After starting his career at Fisher-Price, he joined Pepsi’s marketing team in 1997. In his 9 years at Pepsi he worked on Mountain Dew, Sierra Mist and led the company’s Multicultural Marketing Organization. In his final role at Pepsi, he led a sales force of 43 people as VP of Sales for the Pepsi-Lipton Tea Partnership. Tyler left Pepsi in 2006 to join Bear Naked granola, a small start-up in Southern Connecticut. As SVP of Sales and Marketing, he drove revenue from $10MM to $45MM and helped sell the company to Kellogg’s. He continued as General Manager and led the integration into the Kellogg’s organization. After a 3-year stint with his own natural food company, Tyler joined Plum Organics in 2012, leading the revenue side of the business and helping grow the company from $38MM in sales to $105MM in just 18 months, eventually selling the company to Campbell Soup. 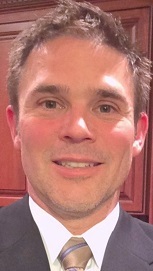 He joined Peet’s Coffee in March of 2014 as SVP and Chief Marketing Officer. He is also the General Manager of Peet’s Home Delivery channel. Tyler is currently on the Board of Directors for Yasso Frozen Greek Yogurt and Mighty Leaf Tea. He received his BA in Economics and his MBA from The State University of New York at Buffalo. Tyler resides in Diablo, California with his wife and three children.